With readable fonts, precise language and clear graphics, Bannerz offers signs that are laboriously thought-through for every situation. Promote a safe work environment, keeping employees aware of potential hazards and reinforcing important safety precautions and policies. Bannerz offer range of mandatory and optional health and safety signs, construction site signs, traffic signs and parking signs. We have stock and custom options to meet your every need and, as always, your signs are made from high quality materials and craftsmanship. Bannerz produces compliant signs on a wide range of substrates that include, aluminum, coroplast, PVC board, e-panel and much more. Our state-of-the-art equipment has the ability to print on a wide array of substrates, with unmatched print quality. Have a unique construction safety sign request? Bannerz can customize signs to meet all of your requirements. 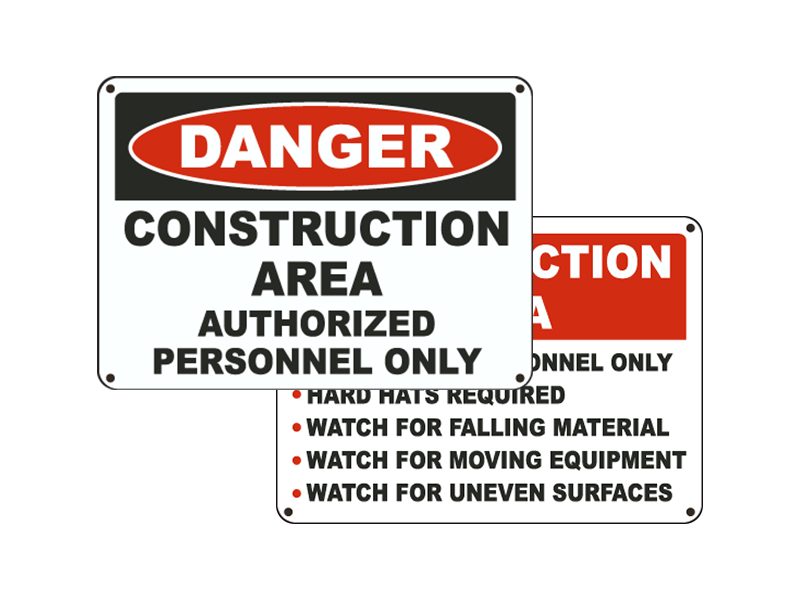 Create the custom construction safety signs that you require for your specific facility safety need. Choose from a variety of materials and sizes. Bannerz builds signs that will keep your workplace safe, remind workers of safety protocol, and keep the public away from potential hazards. Ensure employee safety with Workplace Hazardous Materials Information System (WHMIS) tags and labels. We make is easy to comply with Canada’s national hazard communication standards and keep you protected from government fines and sanctions. We keep all stock symbols in our shop and can have your order ready and shipped within days. 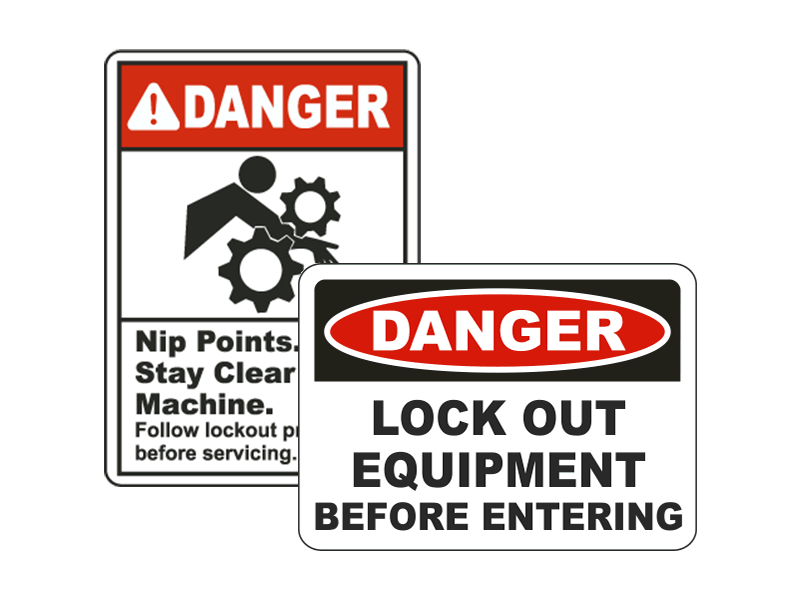 Custom lockout signs and custom lockout labels are essential machine safety signs in any workplace. These custom lockout signs help remind workers and maintenance of safety procedures that can prevent harm from crushing and cutting hazards. Custom lockout signs come in many different sizes and materials. We carry all standard tags and can also customize products to fit your unique needs. Ensuring the safety of your employees and visitors at your business is important. That's why we provide instructional and motivational safety first signs to help keep people in your workplace safe. 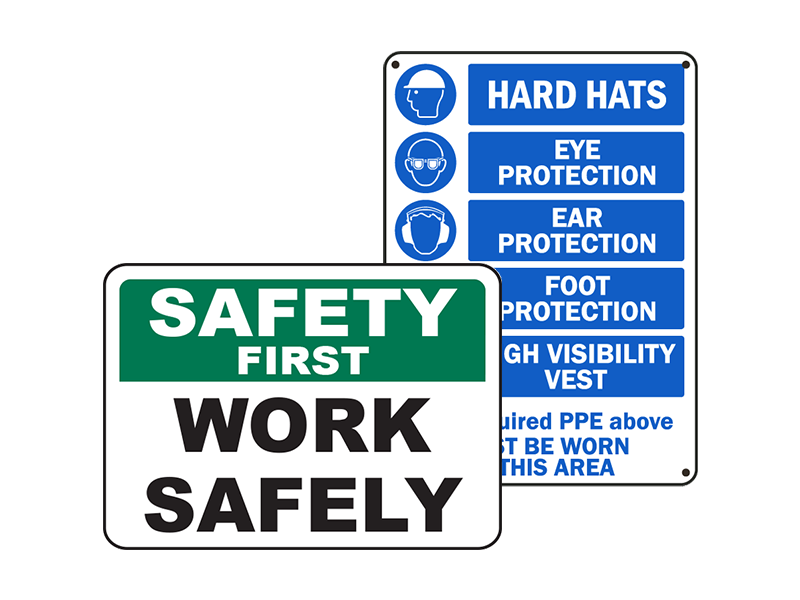 Our high quality and affordable safety first signs including wear PPE safety signs, safety instruction signs, and accident prevention signs. Key points to know about Safety & Bylaw Signs. Wide variety of materials available from metal, plastic, acylic, PVC and much more. Our signs are designed for harsh weather and won’t easily rust or bend. 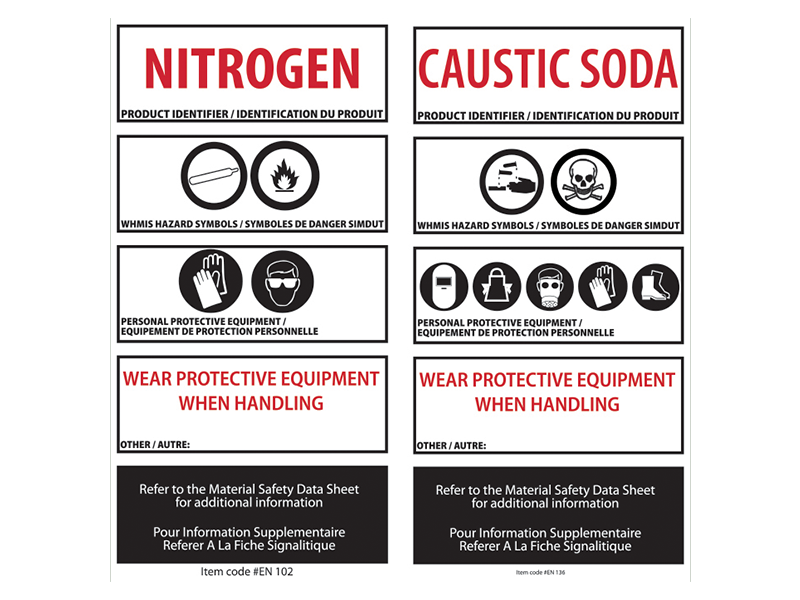 Create the custom safety signs that you require for your specific facility safety need. 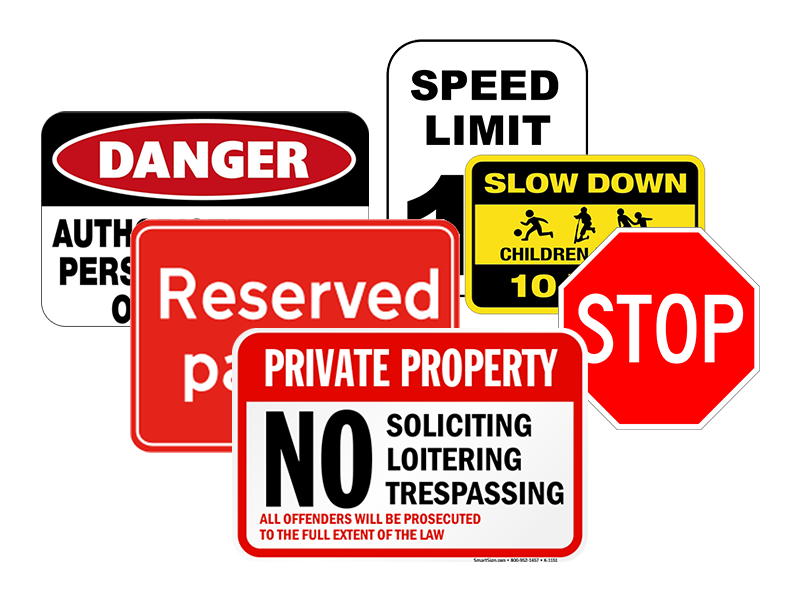 Safety & Bylaw signs are available in many different sizes to meet all your requirements.